Jim has over 20 years of experience in early stage investing and advising for technological companies. Before establishing PSF with Angela Jackson in 2011, Jim was Managing Director at Bay Area growth capital firm Blueprint Ventures, and Director of Strategic Investments at Intel Capital. From those positions, Jim led the investment of more than $67 million dollars into 19 companies that saw returns of more than 2.5 times the invested capital. 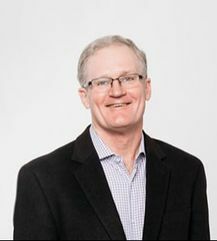 Along with his executive position at PSF, Jim also sits on the boards of Complier Enterprise and Oregon Public Broadcasting. He has earned an M.B.A. from the Kellogg School of Management at Northwestern University, a B.S. in engineering from the Rose Hulman Institute of Technology, and currently serves as an adjunct professor at Portland State University where he teaches an M.B.A. class on venture finance.